Since Richard Jones began our Jack the Ripper Tour in 1982, we’ve always strived to offer the best walks in London. Today, with our unique combination of expert guides, who have written books on the case, our appearances on virtually every television documentary on the subject, our truly atmospheric route, our limited numbers, and our passion for the history of the East End, we really believe that we have achieved that objective, and what’s more, our customers seem to agree. As the night falls, and the long shadows reach into the darker recesses of the streets of Whitechapel and Spitalfields, our Original Jack the Ripper Crime Scene Investigation sets out to join the Victorian police as they hunt history’s most infamous serial killer through the crooked, cobbled alleyways of the Victorian abyss. Step by blood-curdling step, you will find yourself spirited back to the mean streets of the 19th century East End where every corner turned and every step taken will lead you further in to a murder mystery that has been baffling and terrifying people for more than 125 years. Each night, lots of tours set out to explore the mean streets where the Whitechapel Murders occurred. 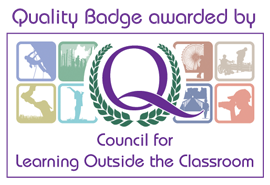 But this is the one on which you will be taken round by guides who are published authors and who are internationally recognised as being amongst the World’s leading experts on the case. Indeed, their collective contribution to the field of ripper studies is unsurpassed. Consequently, you will have seen us on almost every television documentary on the mystery over the last 20 years. Our guides have appeared on The History Channel, The Discovery Channel, National Geographic, BBC1, Sky One, ITV1, Channel Five and the Travel Channel, to name but a few. Our guides know the subject of the Whitechapel Murders inside out and, as a result, they are familiar with every twist and turn of this fascinating case. You can, therefore, rest assured that, on our tour, you will be brought up to date on all the latest findings on the crimes. 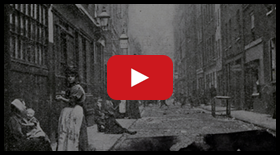 We remain the only one of the Jack the Ripper tours to have made our own acclaimed documentaries on the mystery, one of which you can watch for free below. You can find more on our dedicated video page. On these videos you will actually be able to see the guides you will be joining and will, therefore, be in a position to make an informed decision as to whether or not you fancy spending two hours in their company! We feel confident to do this because we honestly believe that, once you see them in action, you will find their enthusiasm contagious and their knowledge inspiring. And, having watched them on film, we hope that you will then wish to meet them in the flesh, so to speak, and invest two hours of your precious time in allowing them to lead you through the sinister streets of Victorian London on an exciting voyage of genuine discovery that will provide you with an unrivalled insight into the Jack the Ripper murders of 1888. Of course, you can be the greatest expert on the planet, but if you conduct a tour that visits very few of the actual murder sites, and which follows a route that takes participants along modern streets, lined by 20th century office blocks, then your clients aren’t going to enjoy their evening much and they are going to be left disappointed. Indeed, after the quality of the guiding , the route that the tour takes is the most important ingredient for a truly memorable Jack the Ripper Walk. That’s why we begin our tour of Jack the Ripper’s haunts at Aldgate East Underground Station. 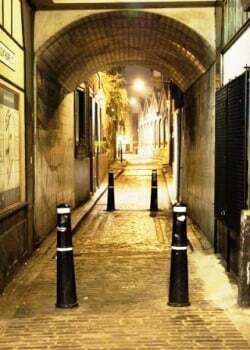 This start point means that you can commence your investigation right in the heart of the area where the Ripper’s crimes occurred and are, therefore, able to follow a truly atmospheric route that was first paced out by Richard Jones in 1982. On our walking tour you will be taken straight into the cobbled alleyways and dimly lit passageways that have hardly changed since those long ago nights when an unknown killer, lurking in the darker recesses, brought terror, panic and revulsion to the very thoroughfares that you will be exploring. From the outset it will be as if you’ve been transported back in time to the 19th Century East End and, because our walk is structured like an investigation, you’ll get the distinct impression that you have joined the Victorian detectives as they race against time to catch Jack before he kills again. And, because we follow a chronological route that begins with the first Whitechapel Murder, you will move through the events of that long ago autumn of gaslight and terror as they unfolded. You will see how the people of the East End gradually came to realise the full danger posed by the monstrous maniac lurking in their midst and you will get a sense of the panic that gripped the area in the wake of each murder. You will also gain an understanding of how, as the weeks went by, and the ferocity of the crimes increased, a surge of genuine terror coursed from the neighbourhood and sent shock waves reverberating through the whole of Victorian society. This is, very much, the thinking persons Jack the Ripper Tour on which your questions and opinions will not only be welcomed but also encouraged. 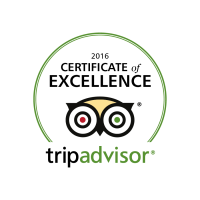 We like to think of ours as being a guided discussion as opposed to a guided tour. To that end you will, effectively, become a Victorian CSI as you visit the murder sites, sift the evidence, uncover the clues and, with the assistance of your expert guide, put the murders into the context of the streets and era in which they occurred. You will gain a true insight into the problems that beset the original Metropolitan Police Investigation into the case, as the Victorian detectives pitted their wits against a cunning killer who was leaving no clues and who was able to use the warren-like complexity of the dark passageways and courts through which you will walk on the tour to escape from the scenes of his crimes. Of course it’s one thing to be a World authority on a subject it’s quite another to have the ability to put your knowledge across in a thought provoking, entertaining and engaging way. Our guides are born storytellers who realise that a quality tour must be both informative and entertaining. Their descriptive abilities will bring the streets of Jack the Ripper’s London vividly to life whilst their dramatic approach will almost convince you that you are actually there in the Victorian East End of 1888 watching events as they unfold around you. 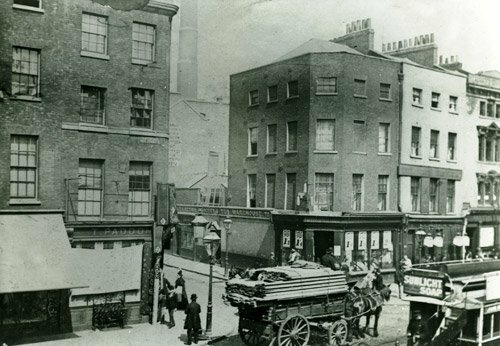 A picture, they say, is worth a thousand words – and so, as you explore the East End streets, your guide will pass out genuine Victorian photographs (several of them unique to this walk) that show the area as it was in 1888. Imagine being able to hold and peruse old black and white images that show the locations where you are standing as they were at the time of the ripper crimes. It will almost be as though you’ve somehow been transported back in time! Could there be a more powerful tool in your CSI kit than being able to actually inspect the murder scenes as they were at the times of the crimes? Many of the photographs even capture the men, women and children who lived through the horror of Jack the Ripper’s murder spree. You will be able to look into their eyes and see the sheer terror and unease etched into their faces. In addition to our impressive collection of Jack the Ripper Photos you will also be able to examine documents relating to the case that will help build a powerful image of how the crimes were publicised by the Victorian authorities. We’ll pass out facsimiles of the handbills that the police circulated in the area in the desperate hope that somebody might come forward with that elusive piece of information that would help bring the killer to justice and solve the case. Chief amongst these documents will be the notorious Dear Boss letter, which bore the chilling signature Jack the Ripper. It was the release of this letter that helped turn five sordid East End Murders into an international phenomenon whilst elevating the unknown miscreant responsible for those murders into the realm of legend. Just Picture yourself scrutinising this letter, examining the handwriting and searching for something that may have been missed by the original investigators! Unlike the large London walks companies we don’t believe in herding our clients around on an unwieldy cattle drive that might number 60, 70 or (on occasions) over 100 people all of whom are struggling to hear and see one guide. We want you to enjoy the tour and so, to that end, we limit the number of participants to what we consider to be a sensible and manageable number. As we like to put it, our tours are the ones that are heard not herd. So, if you really want to enjoy an intelligent and thought provoking tour, one that visits more of the Whitechapel Murder sites than any other walk, then join the undisputed experts on the case, and let them lead you on a spine-tingling Jack the Ripper Tour through the old and atmospheric Victorian East End streets that formed the backcloth against which the ripper saga was played out. It will get dark and it might be foggy! Dare you join the hunt? We’re the original Aldgate East Jack the Ripper Tour and have been introducing people to this fascinating story since 1982. We’re recommended by the Bible of ripper studies The Complete Jack the Ripper A to Z. To be mentioned in its pages means that you are internationally recognised as a World authority on the case. 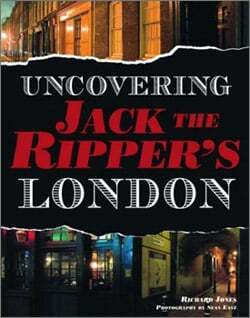 Our guides have, between them, written nine acclaimed books on the Jack the Ripper case. You will have seen us on every television documentary on the case over the last twenty years. Our walks have received critical acclaim in newspapers such as The Los Angeles Times, The Sunday Times, The Daily Express, The Mail on Sunday, The Evening Standard,, The Orange County Register, plus countless other newspapers and magazines throughout the world. We limit the number of participants on our walks to a sensible and manageable number. We don’t herd you round on a massive cattle drive of a tour. We start in the very heart of the area where the Whitechapel Murders occurred and follow a chronological route that visits more of the actual murder sites than other tours. Looking for an unusual gift that is chillingly different? A Jack the Ripper Tour Gift Voucher makes a killer of a present! 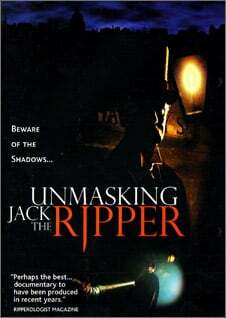 John has written 4 books on Jack the Ripper and also co-wrote the Channel 5 documentary Jack the Ripper: The Definitive Story. His books include Jack The Ripper CSI Whitechapel and he is currently working on a new book for Penguin which is destined to become a leading resource on the subject. Philip has been hailed as “the best” Jack the Ripper tour guide in London and his tours are always lively and dramatic. He is also a published author on the mystery and has made some of the most important discoveries in ripper studies over the last ten years. Richard is, according to the bible of ripper studies The Complete Jack the Ripper A to Z, “one of London’s leading walking tour guides”. He has written two books on the case, has appeared on almost every television documentary about the ripper murders over the last 20 years, and has even written and presented his own drama/documentary about the mystery. Lindsay is one of London’s most intrepid researchers when it comes to Jack the Ripper and she has made a huge contribution to the field of ripper studies. Constantly in demand as a speaker on the subject at conferences, she is also the biographer of one of the leading suspects. The London of Jack the Ripper takes the reader back to the autumn of 1888 looks at the area in which the murders occurred whilst, at the same time, outlining the full story of the Jack the Ripper crimes. Beautifully illustrated with evocative black and white photos that show the area as it was in the late 19th century and with atmospheric full colour photographs that show those same streets today this is the ultimate guide to the crimes that shook the world. 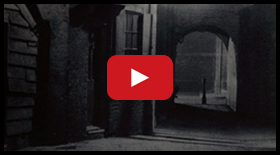 This acclaimed 75 minute dram-documentary was filmed on the streets of Whitechapel at each one of the Jack the Ripper Murder Sites. Watch it for free on our website.